I began to design pedals in my late years of secondary school. I decided then, that this is what I wanted to do with my life, and have remained dedicated ever since. This has grown to be my professional occupation. Pedals provide me with a perfect balance of mental stimulation, as well as hand craft. It is my belief that the universe can be understood as an expression of rhythm and pattern. Building pleasant sounding effect circuits is my way of playing back with the universe, and it's a real trip. My design style might be thought of as a hybrid combination of vintage and modern technologies. I build each pedal myself, by hand, as I would for myself or for a close friend. This is a one-person operation. I work from home, by humble means. The enclosures are drilled and powder coated in my garage. My name is Darron Thornbury, and I live in the outer south-eastern suburbs of Melbourne, Australia. All pedals have a 10 year warranty. 600V teflon insulated, silver plated, multi-strand copper wiring. Hammond 1590 series aluminium alloy enclosures. 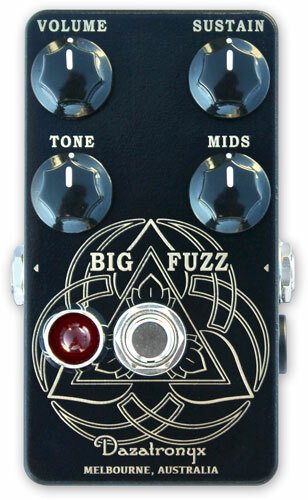 This is a recreation of the vintage classic fuzz booster from Roland’s era of great analog guitar pedals. Using NOS Japanese transistors found in the original fuzz section plus high-qulity Japanese capacitors. 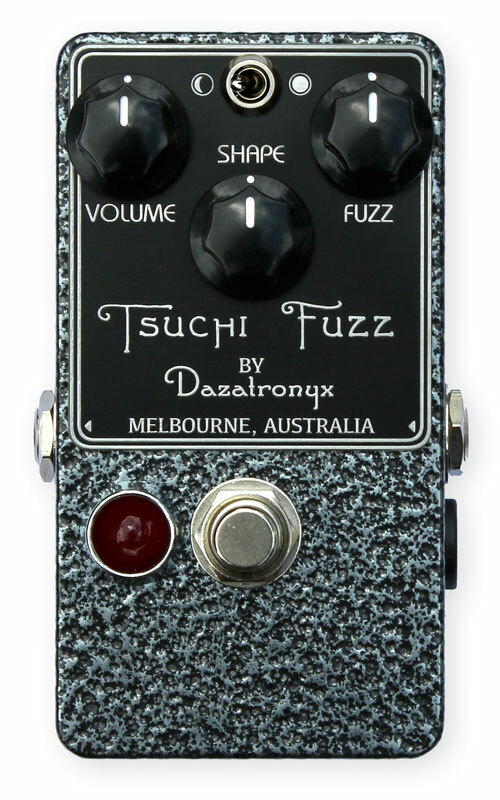 This captures the sound and look of the original and places in a pedal board friendly enclosure. 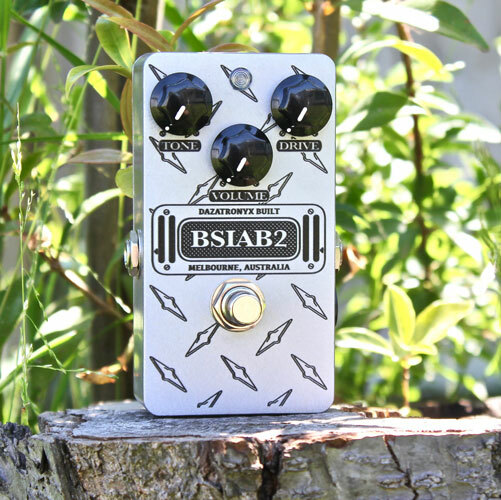 This is a collaborative work with guitarist and pedal builder Shaun Klinger. We will be releasing a total of 10x units to the public and that will be all. SOLD OUT! All orders have been posted. AUD$220. Free post worldwide. See returns policy. 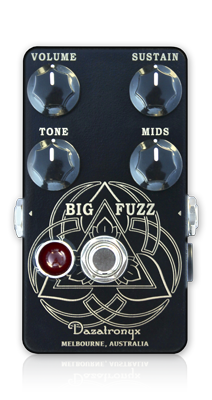 The Big Fuzz is a muff circuit, which has been made to factor all of my favourite elements from the many various models. Further, some improvements have been made to improve user interaction. This includes increased bass, and improved bass clipping response, improved tone control functionality, and fine tuned top-end clipping response and smoothing. The classic design varied greatly over the years, being made in various locations to different schematics and ever-changing component values. One large reason I suspect some models are still higher favoured now, is for their amount of mid-scoop. This is a famous love-hate element of the circuit. However, having this second tone knob adjustment is incredibly helpful. There are two internal mod switches to independently change the gain stages. This goes from the Russian style lower gain, which is famously a bit smoother and proportionately warmer in the top-end, to the modern NYC high gain which is a bit more aggressive. Combing this with the mid knob means you can achieve tones alike to many releases. 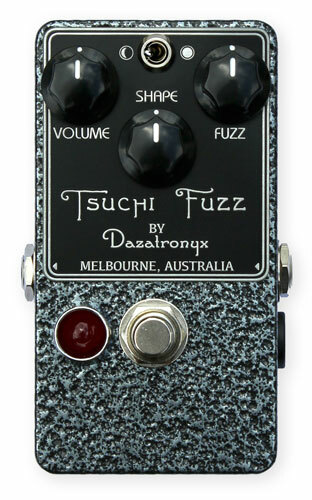 There is also an internal mod switch to transform the circuit to work as a Supa Fuzz (Marshal, Sola Sound). This has a huge bottom-end wrapping, and is the preferred mode for bass players. By shining a fading light against a photo-sensitive device, this tremolo uses all analog photo-coupling to restrict and fluctuate the output volume. After a decade of development, I've created this completely unique circuit, as my ideal tremolo sound. Always use a high quality regulated and isolated power supply for best operation. Daisy chain power cables may induce clock noise. A line level optimised version can be made on request. AUD$289. Free post worldwide. See returns policy. 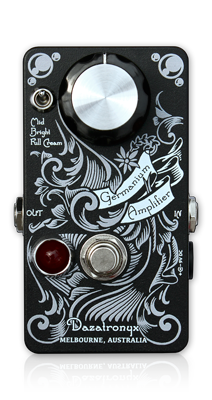 The Germanium Amplifier is a Class A vintage voiced boost that can smash your amplifier hard in the face. 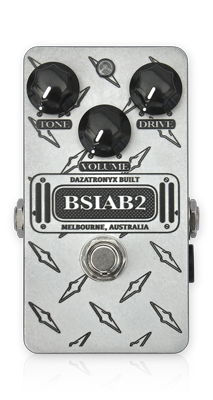 It can be used for volume boost and shaping, or for additional drive pushing a gain stage. 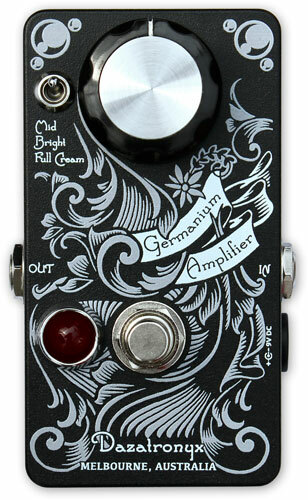 The Germanium Amplifier is constructed with a 'tin can' PNP germanium transistor. The germanium transistor has a rich history in musical effects for its round and life-like sounding properties. Germanium transistors were used before the introduction of silicon and have become increasingly difficult to find in acceptable condition with low leakage and suitable gain. I have been collecting germanium transistors in bulk supplies since I was in high school. Each transistor is selected for over-all excellence and will always have its own sound. Each circuit is individually biased and tailored to suit the characters of the transistor. The circuit squeezed maximum use out of the transistor and runs with a little bit of its round break up. Please note: This is not a circuit for the hifi junkies! The output is setup hot and dirty and has its own levels of distortion and grit. Noise levels on germanium were far from perfect, and they all flavour with their own voicing. This would be a booster best appreciated by fuzz players. AUD$199. Free post worldwide. See returns policy. AUD$235. Free post worldwide. See returns policy. Currently unavailable for direct purchase. Please contact me to find stock with a merchant, or inquire about stock return date. 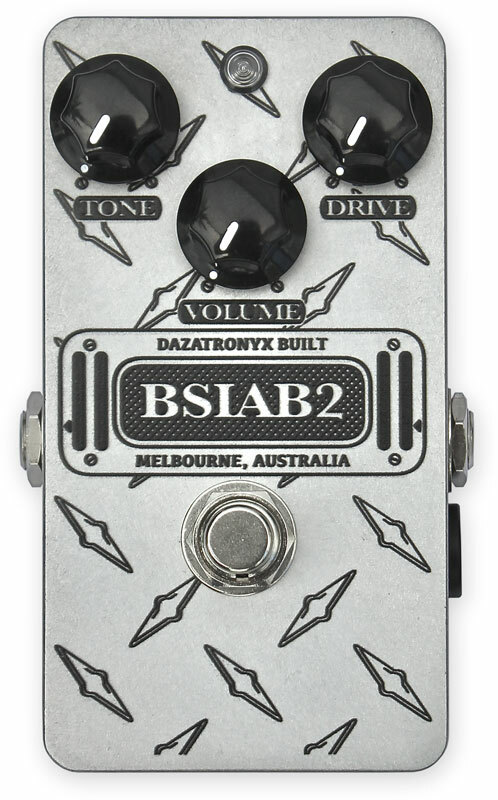 This pedal is discontinued. Please contact me to help find remaining stock. Email me at thornbury@gmail.com. I might be a little slow to respond sometimes, but am happy to help out wherever I can. Please note that I am currently not taking any orders for completely custom builds, only variants on my existing circuits. 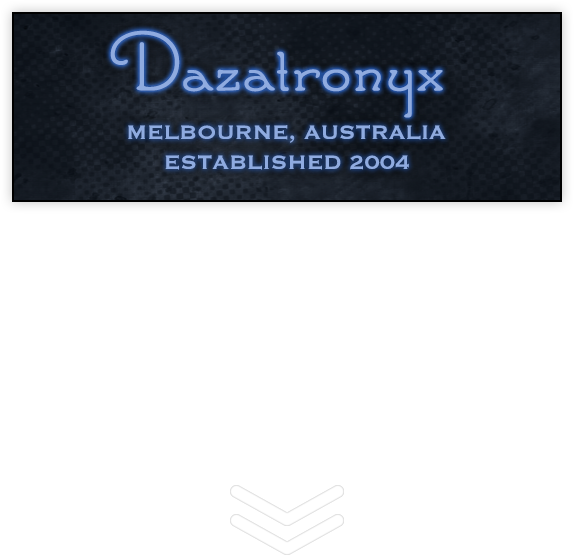 You can also follow Dazatronyx on Instagram and Facebook.